The Central Texas region encompasses six counties within commuting range of one another (Bell, Coryell, Falls, Lampasas, McLennan, and Milam) and is a great place to call home and conduct business, with an outstanding array of assets—from arts to education and big-time college sports to recreation—coupled with a strong, diverse and growing economy to support further improvements in its quality of life. 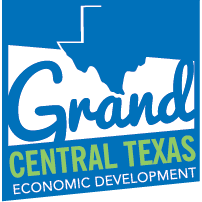 Grand Central Texas is strategically located along the IH35 corridor between San Antonio and Austin to the south and Dallas/Fort Worth to the north. Sitting on the western side of the triangle that connects Dallas, San Antonio and Houston, the region lies within one of the most significant population and business concentrations in the United States. Being relatively central to 5 of the 20 biggest cities in the United States it is a reasonably unique situation in the United States. Deciding where to live in “Grand Central Texas” may take a while because of the diversity of housing options—from historic homes in close-in neighborhoods to a Texas size ranch! Lakeside and riverfront homes are attractive to many as are planned developments in the suburbs. Each community has amenities that will that will meet almost any need at an affordable cost. © 2019, Grand Central Texas. Site by Presley Design Studio.